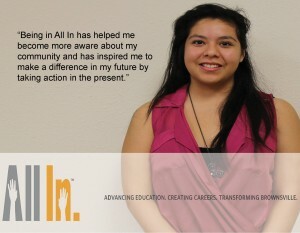 Meet Alma Aguilar! 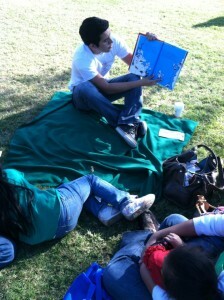 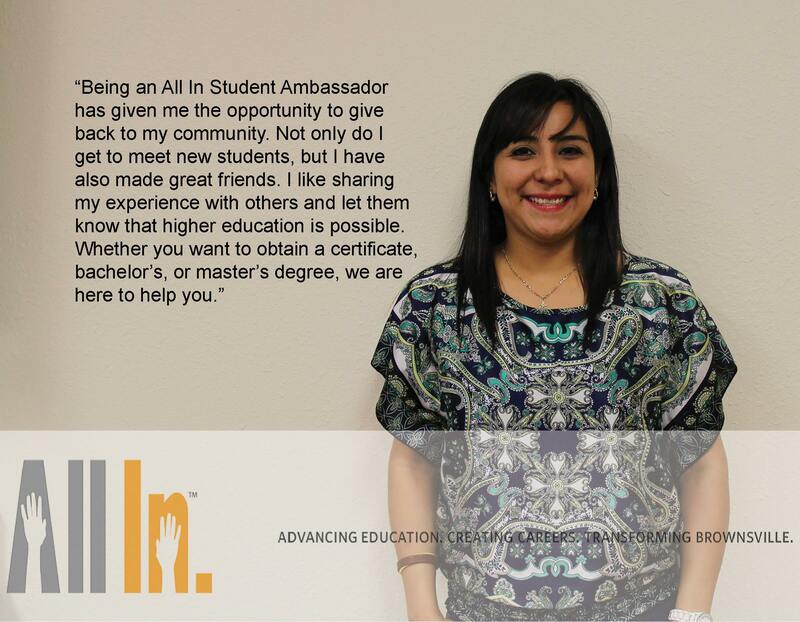 She is a student at The University of Texas at Brownsville and an All In Student Ambassador. 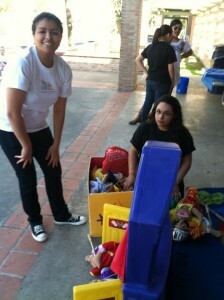 She is obtaining a Master’s in Education in Counseling and Guidance. 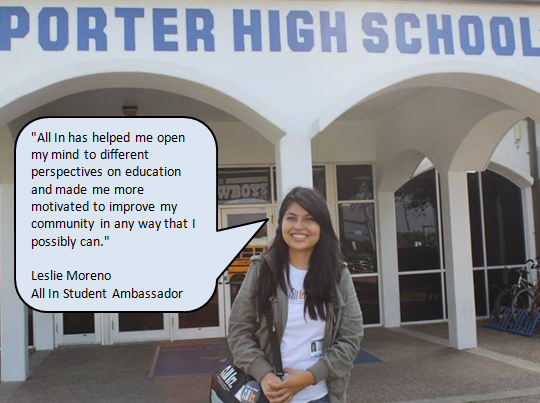 Meet Leslie Moreno! 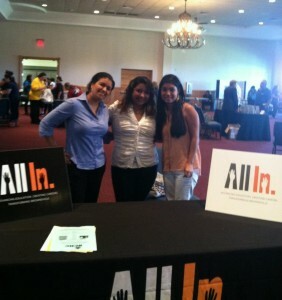 She is a student at The University of Texas at Brownsville and an All In Student Ambassador! 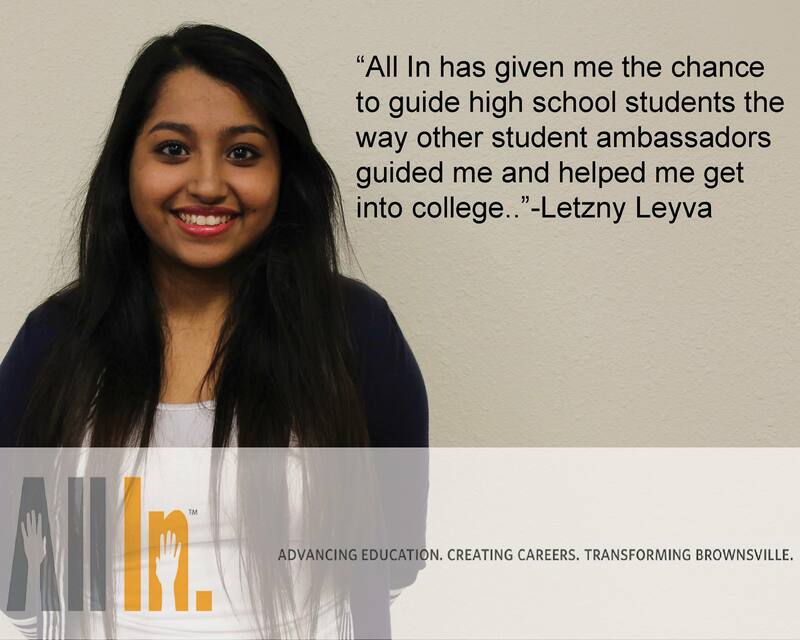 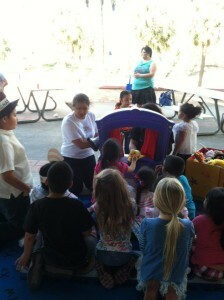 She is obtaining a Bachelor’s degree in Bilingual Education EC-6. Meet Letzny Leyva! She is a new member to the All In Student Ambassadors. She graduated from Veterans Memorial High School and is now attending TSTC! 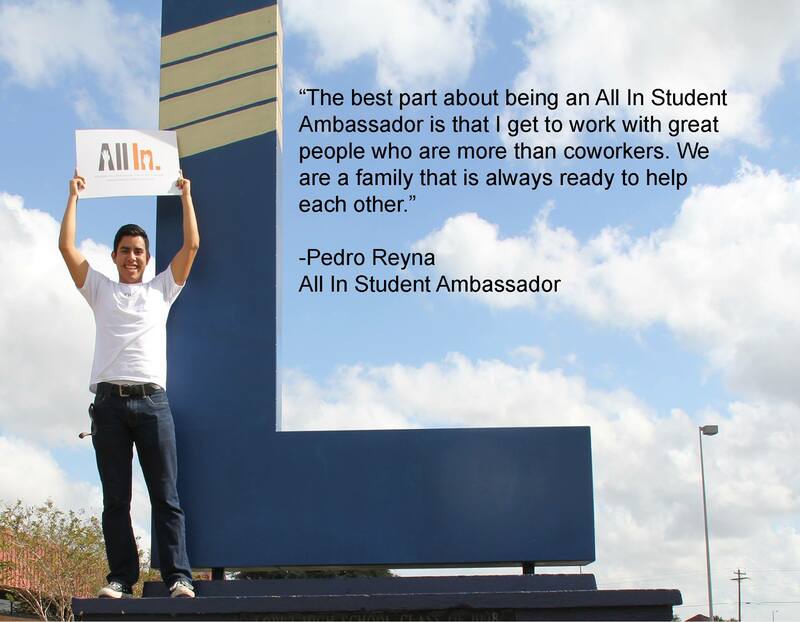 Meet one of our Student Ambassadors, Evelyn Olivares! 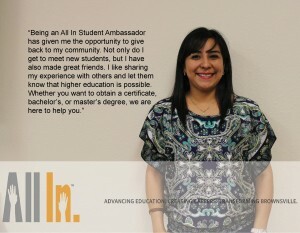 She’s a Porter High School graduate pursuing a Nursing degree at UTB. 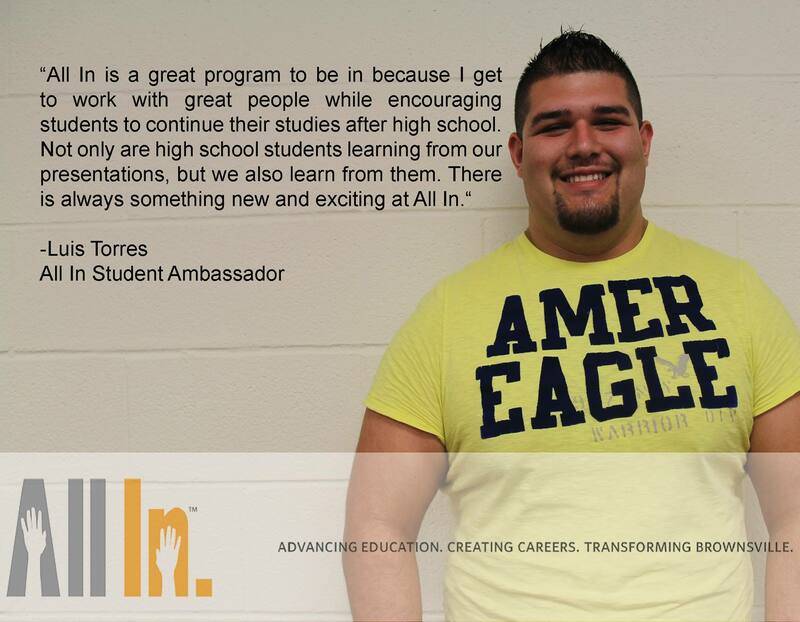 Meet Luis Torres and see what he has to say about All In.